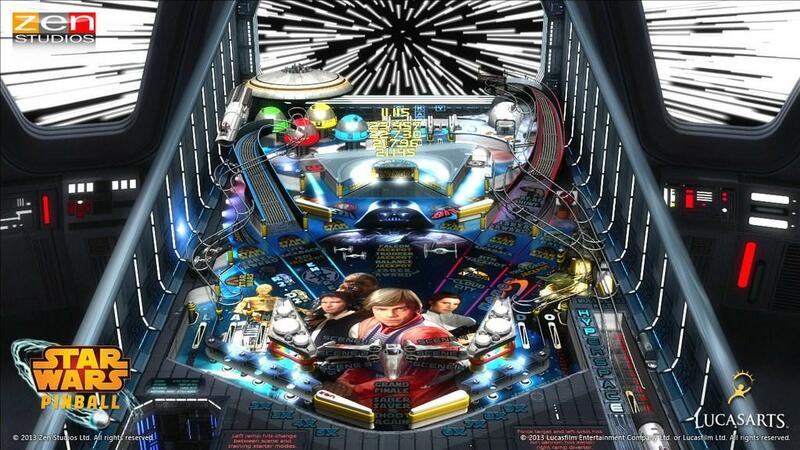 Zen Studios is at it again, this time releasing a line of Star Wars themed Pinball Tables to be used in its multi-platform Pinball sensation; Pinball FX2. 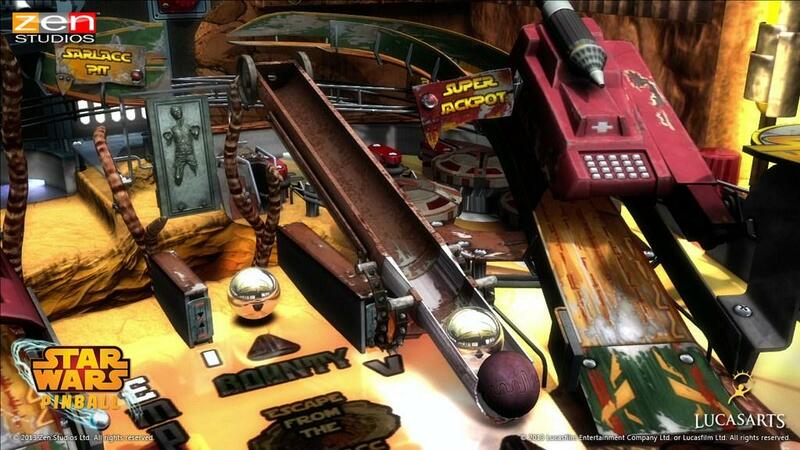 Each of the tables is set up to enhance the way you play and view this classic game. 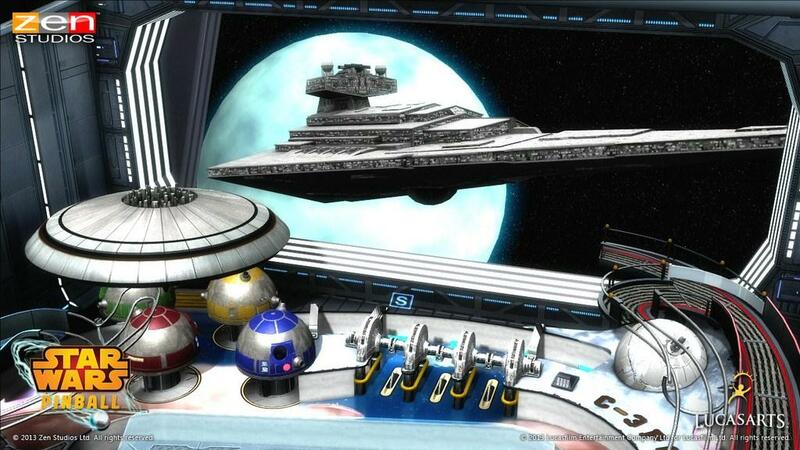 Using well known and beloved characters as well as fully modeled 3D vehicles, each offering will allow you multiple missions and new gameplay mechanics that will take you to new locations and let you relive some of your favorite Star Wars moments. This is obviously aimed at a distinct demographic, but hey, this Star Wars nut is NOT complaining. With an eventual total of 10, this first pack includes 3 pretty stellar introductory tables. Star Wars Episode V: The Empire Strikes Back, Boba Fett, & The Clone Wars; three of the most arguably beloved icons from the Star Wars Universe. Each selection having its own theme, they will also contain unique characters, vehicles and table mechanics. Along with all of this, for each platform this new DLC comes with new Achievements, Rewards and Trophies! This is and of itself may be enough to coax existing players to download them. Is this enough to force push you into dropping your hard earned cash on it? Let’s see how the three stack up. This table is my favorite by far, invoking the nostalgia of it all. 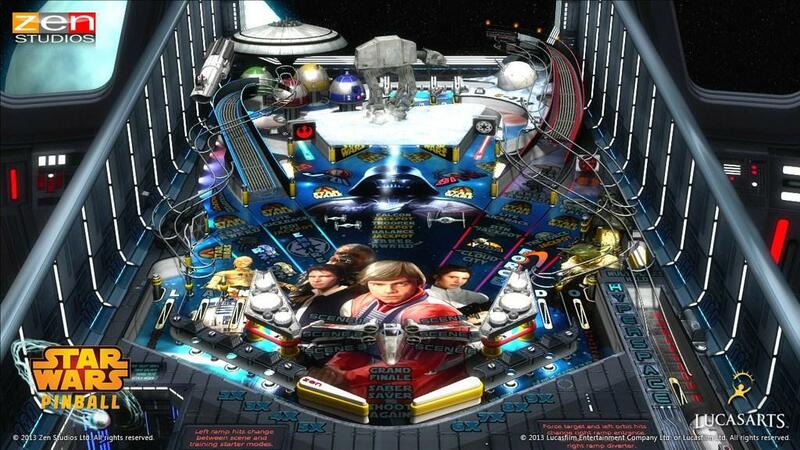 In this table you are playing on the Star Destroyer Executor main deck. During the main gameplay, you are striving to start new “Scenes” by hitting specific bumpers and lighting up the words. 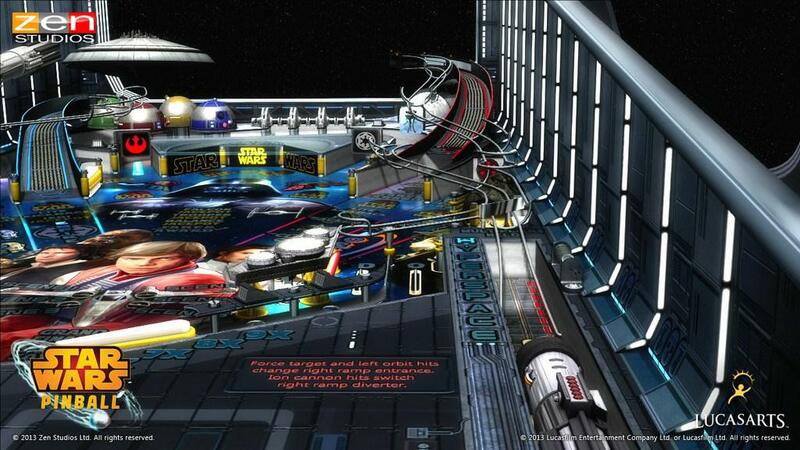 Once activated the Star destroyer jumps to hyperdrive taking you to the location of that scene. 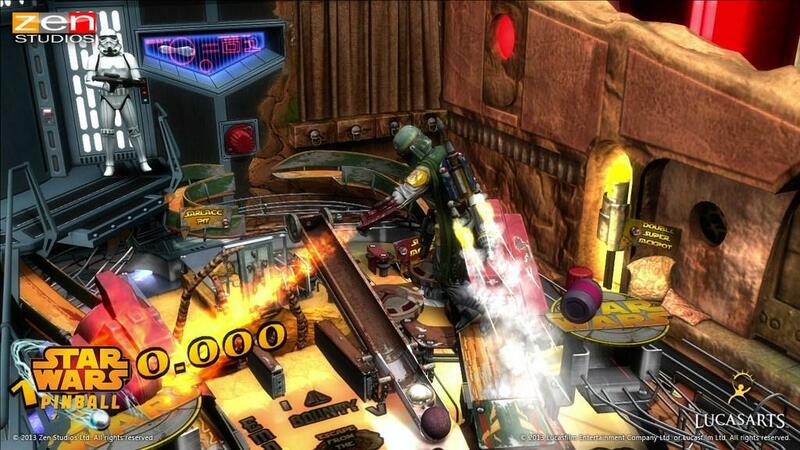 Featuring many classic pinball mechanics, this is a well balanced rails vs ramps table. with all of them leading to the outside and up, it creates a very sym,etric flow. 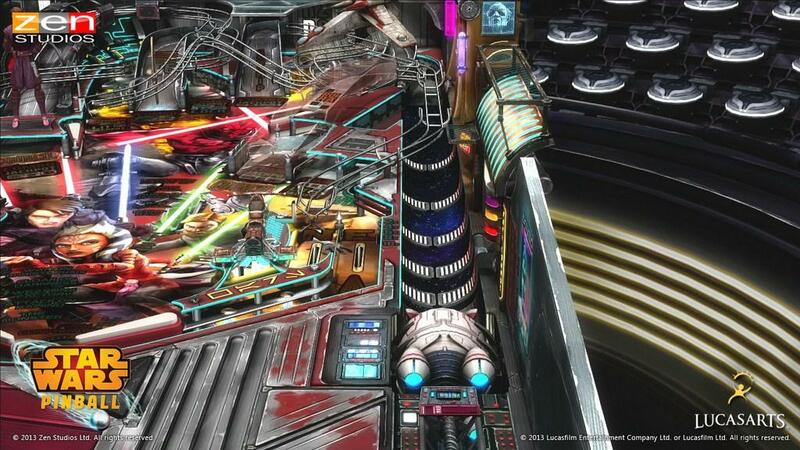 As you open the missions, or scenes, you will see mini action sequences going on, all around the board. These are fun but can become distracting, especially the ships as they fly by. To top it all off, along the way you will run into fully 3D modeled characters and props that add a life to the game, as well as some difficulty. 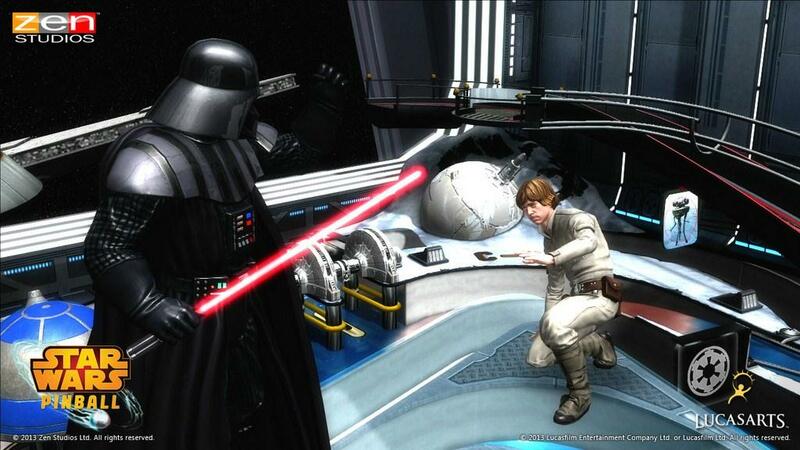 These characters may You may come across a Storm Trooper, or an AT-AT, or even Luke and Darth Vader themselves! The voice dialog is spot on, as well as the background music and sound effects. All in all, this is the best table of the group. 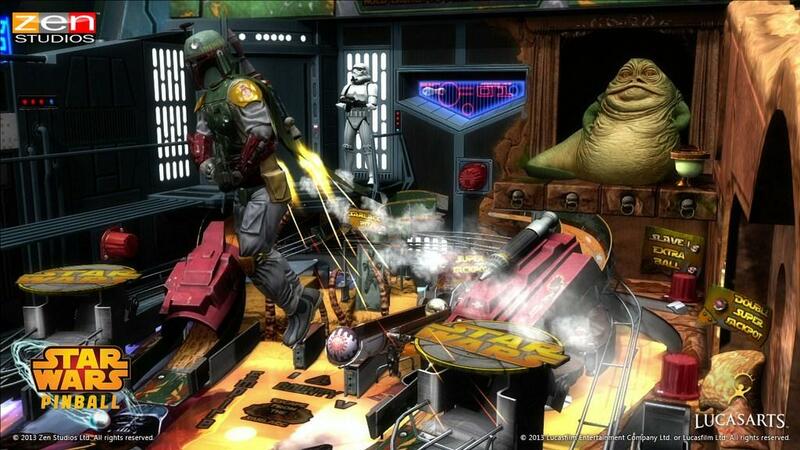 This table comes in 2nd on the nostalgia scale as it is the Bounty Hunter we all love to hate. For clarity purposes this is Original Trilogy Boba Fett, not the creepy kid who sees his dad beheaded by Mace Windu. This table, like the other two has some really great 3D models that mess with your gameplay as well as drawing you into the missions you get in this table. 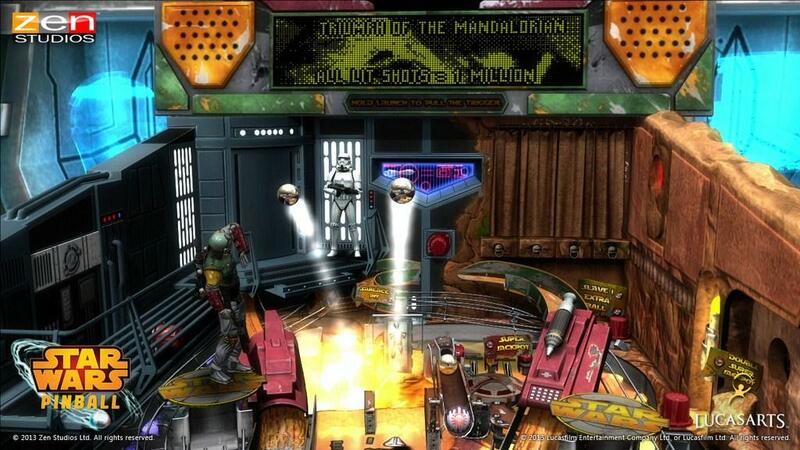 The missions here are separated into two groups, Missions for the Galactic Empire, and Missions for the Hutts; each one taking you on different tangents, but both trying to garner respect and be named the top Bounty Hunter in the Galaxy. 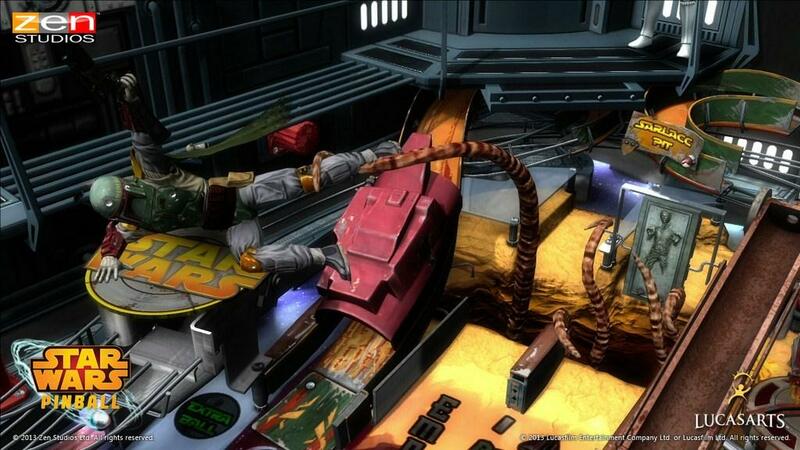 As you progress through the missions you see Boba Fett take on Darth Vader, some Storm Troopers and then run into Jabba the Hut. With action exploding around the screen, it can become hard to keep tabs on everything. 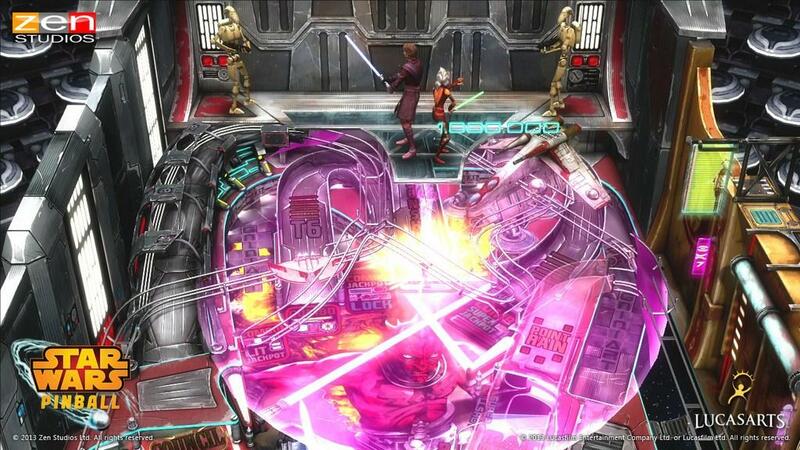 Based on the hit cartoon series, The Clone Wars, while not my favorite is still a solid table, offers you fully 3D characters to interact with and missions to complete. There is this odd “Clone Wars Lamp” that needs to be lit in the center of the field that needs to start the missions. These missions include your standard “light up the letters” types, which will open up a path to additional areas. This table is very rails heavy, which, if stared at can confuse you. The action is fast here since it has the feeling of being a very close quarters battle. When triggered however some nicely animated sequences break out, in the form of Battle Droids versus Jedi on either side of the map. It all culminates with a grand battle in an opened area up top. All in all a solid, but fairly bland table, for my tastes. 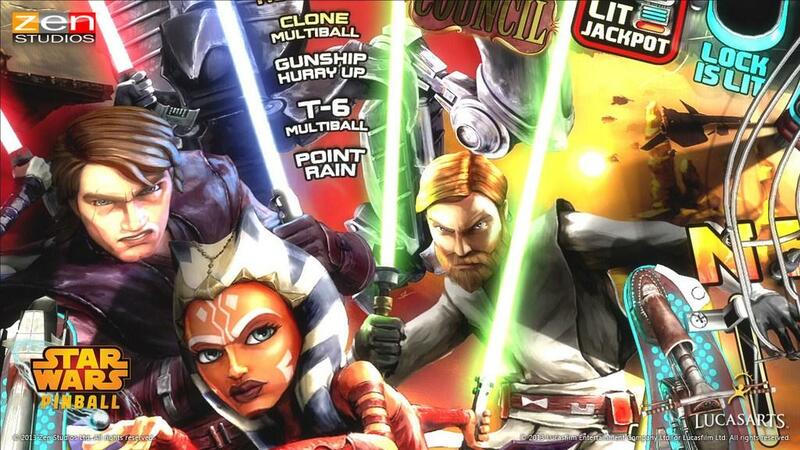 The Clone Wars comes in 3rd for this Star Wars junkie. 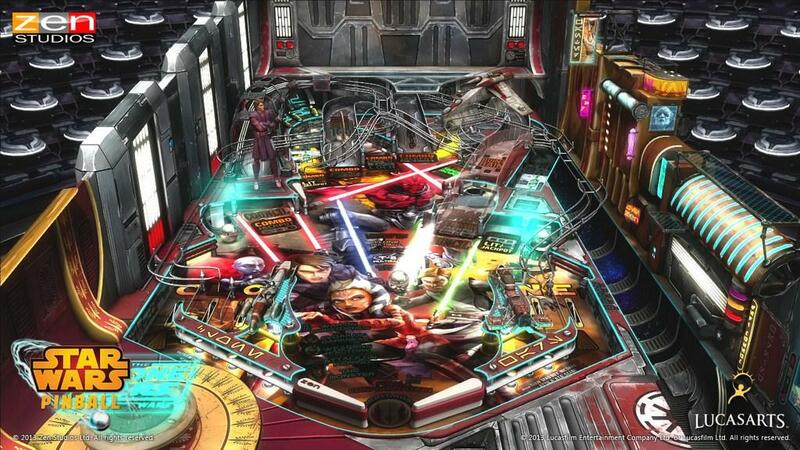 In the end, the Star Wars Tables for Pinball FX 2 is an easy buy. 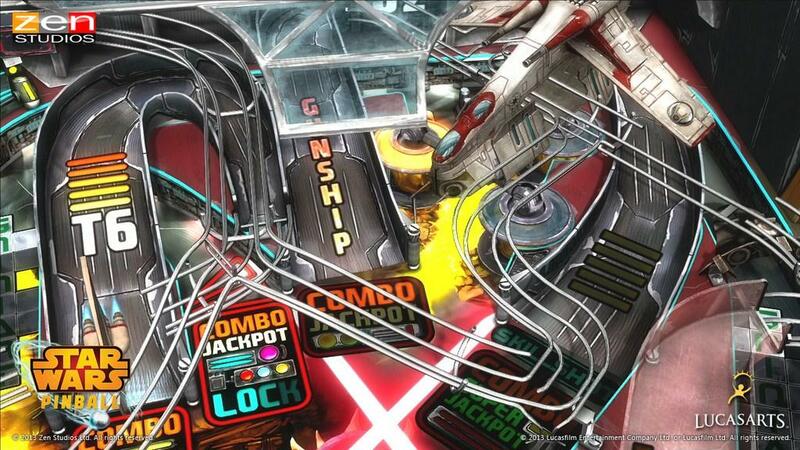 Offering you some great aesthetics, fun mechanics and a difficulty level that is not too prohibitive. 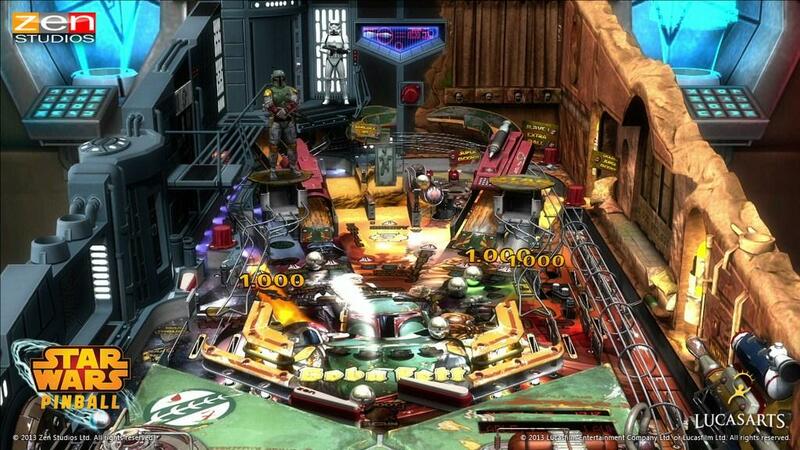 If you love Pinball, and are a Star Wars fan, I don’t know how you can pass this one up. 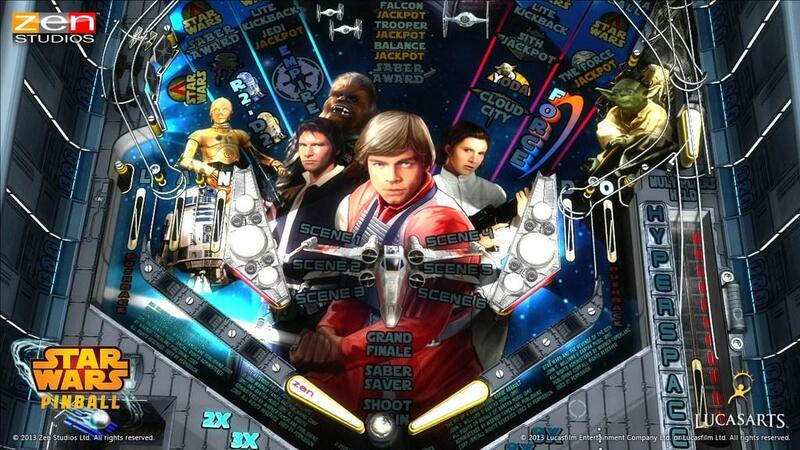 If you like Pinball, but could care less about Star Wars, this may be a pass. I know plenty of people who would rather spend their money on any number of other tables that Zen Studios has released. Keep an eye out for future table packs which should round out this collection nicely! 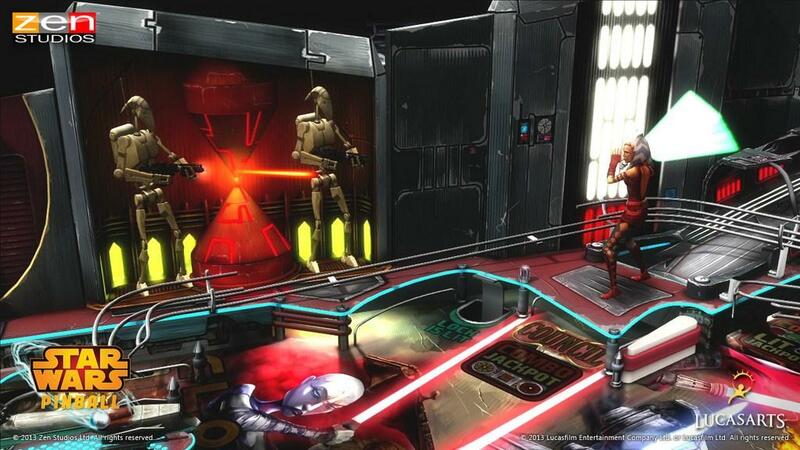 Zen Studios has released a new set of tables sure to please the Star Wars Fan in all of us!